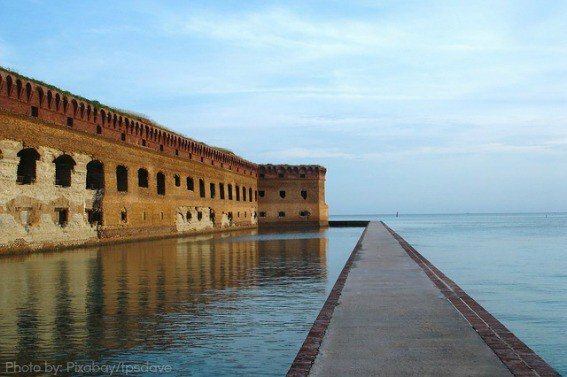 Most people know about the causal fun and natural beauty of Key West but few people know that just off shore lies Dry Tortugas National Park. 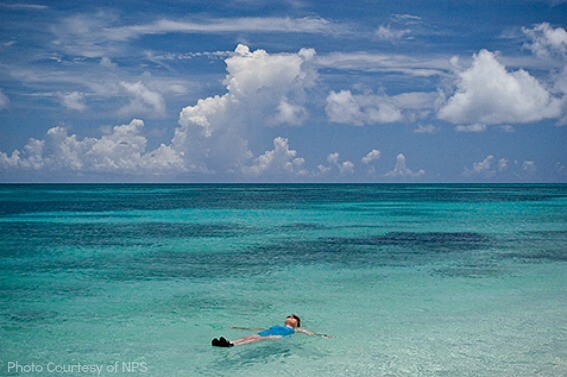 In 1992, President Bush gave these seven historic islands and the tropical waters that surround them National Park status, forever preserving this national treasure. This paradise unlocks your imagination and can taking you on both a historical journey and environmental adventure all in one day. If you are looking for a day off the beaten path of Key West, climb aboard the Yankee Freedom and set sail to the Dry Tortugas. 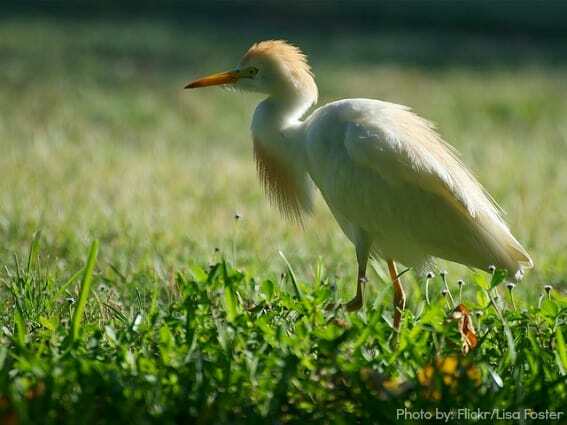 Visitors to Dry Tortugas, will find themselves surrounded by shore birds. Many of the birds are seasonal visitors to the islands, whether they are on a migration path or stopping over to nest. Nearly 300 different species of birds have spotted in the national park to date. The migratory Sooty Tern nests only on the islands of the Dry Tortugas with over 100,000 of them returning each spring during their migratory season, which happens to be the best time to visit for bird watching. Bring your binoculars so you can get an up close look! Send your mermaid and mermen on a snorkel trip they won’t forget. Our own little Ava squealed through her snorkel with excitement every time she spotted a different species of fish. The water was tranquil and the wildlife was abundant; less than 1% of the national park is dry ground, opening up a vast amount of underwater exploration opportunities. 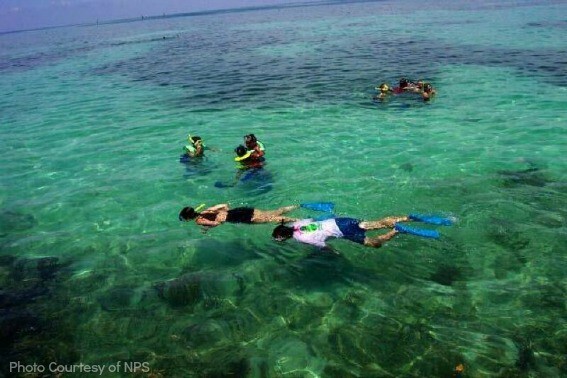 Hundreds of species of marine animals call the Dry Tortugas their home including sharks, sea turtles, coral, lobsters, squid, octopus, tropical reef fish, groupers, and even American crocodiles! 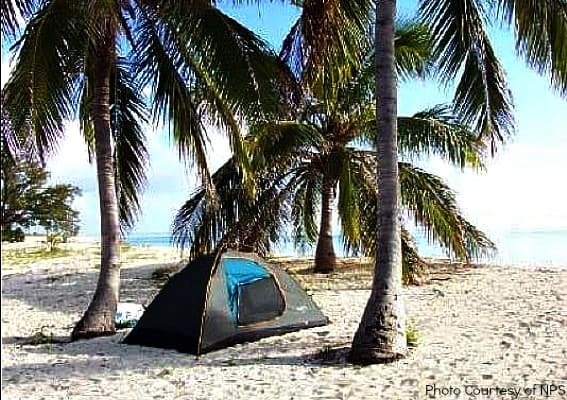 The beach breeze makes Dry Tortugas a perfect place to spend the night under the stars. Although camping in this stunning tropical location is lovely, campers must bring all their equipment and supplies including fresh water, fuel, and all food. Picnic tables and grills are onsite. Fill your head with the fort’s history and local legends of pirates; your imagination will run wild as you are transported back in time. Guided and self-guided walking tours are available on a daily basis. The white sand of the Dry Tortugas is perfect for a picnic or exploring for a one-of-a-kind shell. Visitors can build sandcastles, swim, splash in the calm waves, and even fish from various locations throughout the park. 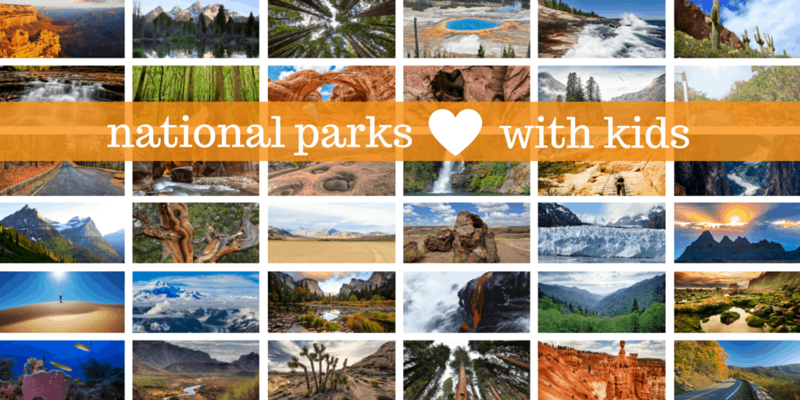 Exposing my children to pristine and unique parts of the United States is my way of teaching my girls to love our Earth, so they will develop a desire to protect it. 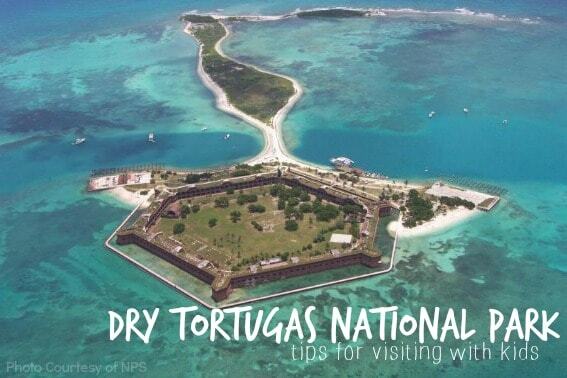 Growing up in an electronic world is hard to compete with, but you can bet one thing- what you experience at Dry Tortugas National Park is something your children will cherish and won’t forget! Jen Adriani (jadriani) is a Trekaroo Superoo.